Born in deep countryside-Kahoku-cho, Yamagata Prefecture. Tsukasa Mogamigawa was listening to Enka since the age of 3 due to family influence. 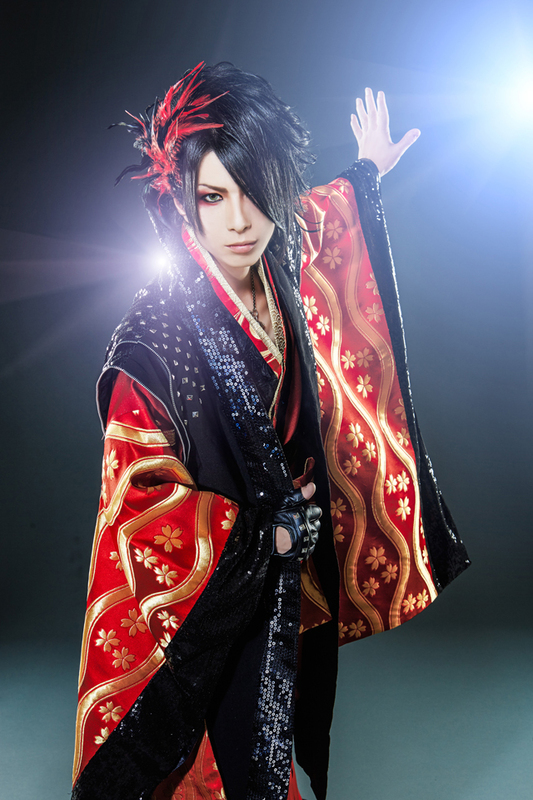 He was also the drummer of the visual-kei band Despairs Ray. And now, the drummer of the band called THE MICRO HEAD 4N’S who has toured across Europe in 2013, during which he entertained the audience by singing old folk music of Yamagata called “Hanagasa Ondo” at each show. Fueled by the desire to express his heart through his favorite music style, Tsukasa debuted as a solo visual-kei Enka singer in 2015. His solo debut single “MATSUPOIYO” is the song for his old parents, friends and his home town YAMAGATA. And 1st album “OKUNO-UTAMICHI” will be released on 25th Nov.